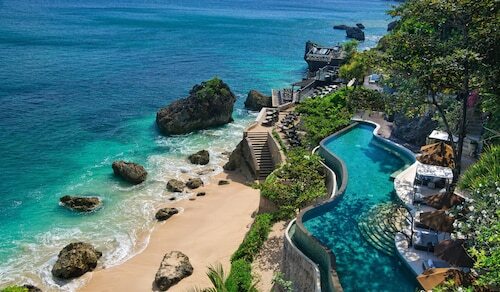 Bali is a country with all-round appeal. Whether you're a young family, lone backpacker, newlyweds, or retired, the sumptuous beauty of this country will lure you in. Prices can suit all pockets too. Famous for its nightlife and beaches, Bali is also a country rich in heritage and diverse wildlife. 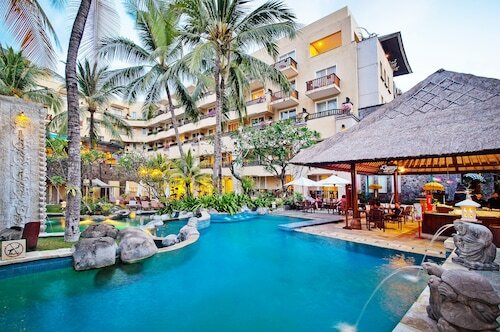 Explore all assets of this Indonesian island, or focus on one or two on your Bali holiday. It's fair to say that many of Bali's first tourists flocked here for the beaches. With warm, untainted waters and immaculate sands to match, beach life remains big here. 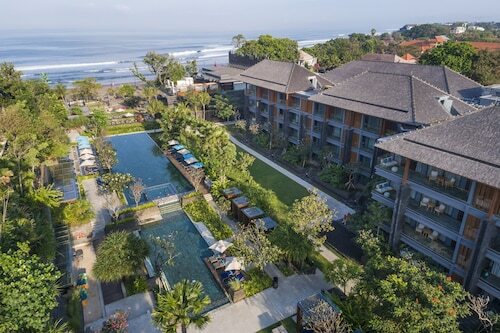 You'll find ample action on the likes of North Kuta Beach, which has been welcoming surfers and sunbathers since the 1970s. 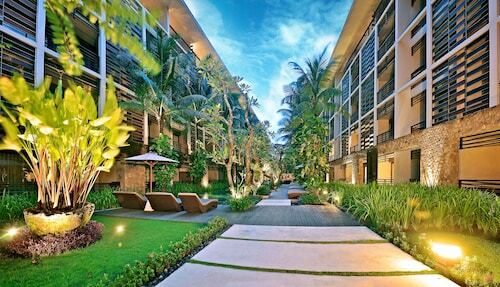 For a more peaceful coastal experience, try nearby Sanur Beach, which offers a markedly more laid back approach. Expert surfers will want to head straight to Uluwatu Beach. This humble sandy cove is home to some of Bali's mightiest waves. Looming above the beach is another example of why Bali is so popular among tourists; Uluwatu Temple. Revel in the history of this religious building that dates back beyond the 11th century, and watch the sun set over the Java Sea. Bali's temples are a significant attraction. Bathe in koi carp-infested waters at the Gunung Kawi Temple, before retreating to one of its ancient meditation rooms hewn into the rock. The Ulun Danu Temple resides in one of Bali's most spectacular settings. Take a boat out onto Lake Bratan, and witness its misty mountain backdrop. It's impossible to travel far in Bali without encountering beguiling scenes of nature. Hike around the verdant rice terraces of Tegallalang Village, deemed the prettiest in the country. Cool off in the idyllic waters underneath Gitgit Waterfall. Make exotic feathered friends at the Bali Bird Park, home to the world's largest collection of Indonesian birds. Feed deer, camels and tigers at Bali Zoo. Hitch an elephant-back ride through the jungle at the Bali Elephant Safari Park Lodge. Find more unique accommodation at Saranam Eco-Resort, where you can sleep in a traditional Balinese lodge, way up in the mountains. Getting around Bali is easy enough if you drive. Car and scooter rentals allow you maximum freedom. Taxis are generally affordable, although less so when heading to and from overly touristy destinations. Temperatures remain pleasantly warm throughout the year. To avoid a saturation of rain, visit between April and October. If you are looking for exclusive accommodation, discover our selection of Bali villas and upgrade your trip to extraordinary.